Produce your own mixed salads by growing a range of leafy salads and vegetables that can be cut and will then sprout (come) again. Harvesting the young leaves when you need them prevents plants from maturing and ensures several harvests of small, tender, mild-flavoured leaves over a long period of time. Amaranth, basil, beetroot, chicory, coriander, chard, corn salad, dandelion, endive, komatsuma, land cress, leaf celery, lettuce, mizuna, mustard, pak choi, parsley, purslane, radicchio, red kale, rocket, sorrel and spinach. Crops usually grown for their roots such as beetroot, radish and turnip also have leaves that are tasty when harvested young. Buy vegetable seeds separately or look out for prepared salad seed mixes as this can be more economical. Salad can be grown all year round in a heated greenhouse, but this is rarely economical. A sunny windowsill or conservatory can be successful, provided it does not get too hot. In unheated growing conditions, sowing can begin as soon as light levels and temperatures allow, producing crops from late spring to autumn. Oriental leaves such as pak choi, mizuna and komatsuma are best sown from mid-summer onwards as earlier crops tend to produce flowers rather than leaves. Cut and come again salads can help to avoid glut and dearth problems, which are common when vegetables are grown and mature all at once. To ensure the longest, steadiest supply of young leaves throughout the growing season, try to sow small batches of seed every two weeks until late August. It is best to harvest leaves in the morning when they are at their freshest. Try to only harvest what you need for each day as baby leaves can wilt quickly. If you need to store them, dampen leaves with tap water and put them in a plastic bag in the salad compartment of the fridge. Cut and come again vegetables are suitable for growing in the open ground or containers, meaning even the smallest garden or balcony can support a few leaves. See sowing vegetables for more information. Under glass or plastic, crops will germinate and establish more quickly in spring and cropping of later sowings can be prolonged into autumn and early winter. Any frame, cloche, polytunnel or fleece protection will help to extend the seasons. Friable, moist but well-drained soil is essential for good growth. 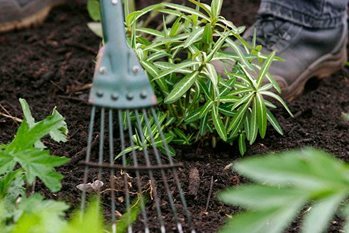 When sowing in the open ground or greenhouse beds, improve soil by digging in organic matter such as garden compost or well-rotted manure. When sowing into containers, use peat-free multipurpose compost or garden soil mixed with compost or grow bags. These books are made available through the RHS Lindley Library. Watering and correct timing of sowing and transplanting is important to avoid bolting in vegetables. Lettuce downy mildew and brassica downy mildew are fungal diseases that can affect a range of salad crops. Damping off occurs when seedlings are overcrowded in poorly ventilated conditions. Aphids can be a problem on a wide range of crops. Cabbage whitefly is a common pest on cabbages and kale; some crops may need spraying to control it. Flea beetles cause small perforations, especially in rocket, pak choi and other brassicas. Slugs and snails are a serious problem with all salad crops and several protective measure should be taken.